thaws and proofs, blast chills and regenerates. who love cooking and fine food. It's time for home-made sushi! Enjoy raw fish without the risks. 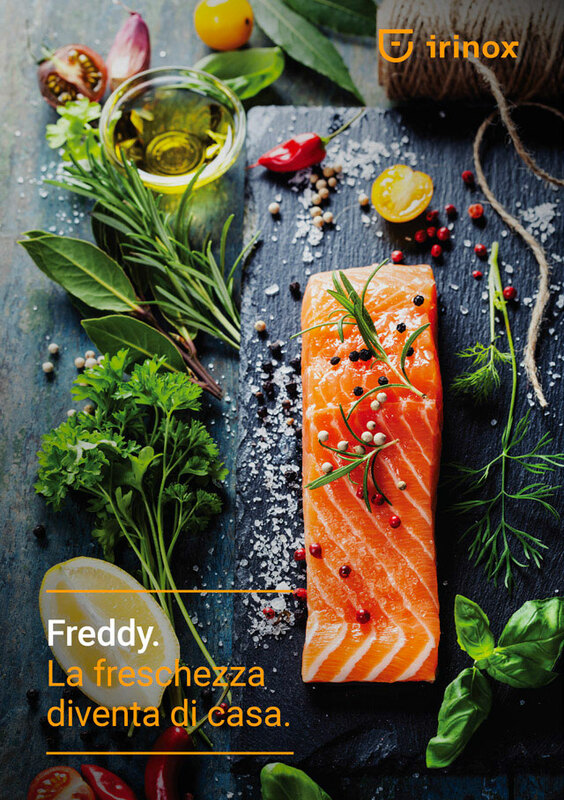 Freddy is the first blast chiller made for home use, with essential design that’s appealing in any kitchen. Microfiltered water, from the first to the last drop. Wave is a domestic water dispenser that connects directly to the local water mains to provide fresh, natural, good quality water, sparkling and microfiltered right up to the last drop. Purity is guaranteed by the special filter that removes up to 99% impurities with diameters up to 0.5 micron, including asbestos fibres and other microorganisms found in water, chlorine, mould and algae, protecting the dispenser from wear. Wave isn’t just pure water: it improves the flavour and taste of water and ensures it’s fresh at every sip.